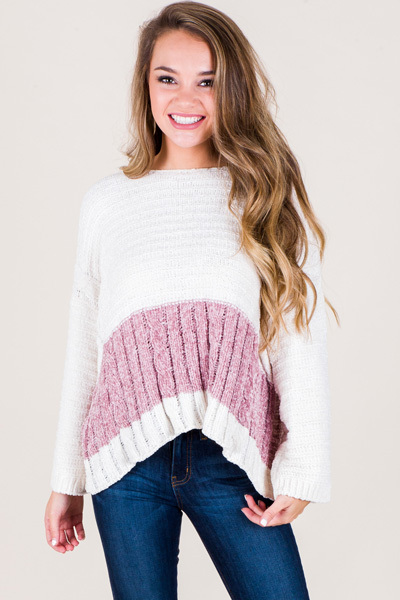 It's pretty clear that we are big believers in a good chenille sweater! Scrumptiously soft, thanks to the velvet yarns, they are simply divine. This one features a mauve colorblocking pattern and dips a little lower on the sides for some coverage.